The Knitting Factory in BODO caught on fire Tuesday evening. 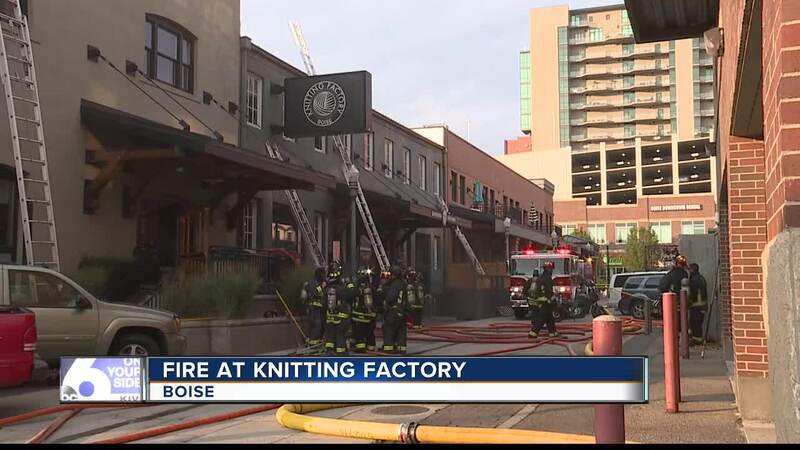 Boise Fire responded to a fire at the Knitting Factory, on the 400 block of S. 9th Street in downtown Boise on Tuesday. The call came in just after 5:00 p.m. When crews arrived, they found smoke but no flames and decided to upgrade to a 2-alarm response. Boise Fire Division Chief Paul Roberts says most of the flames were below the floors. Three people were treated for smoke inhalation, but, otherwise, no one was injured. Crews spent several hours putting out hotspots and worked through the evening to clean things up. The chief says he expects a to find a fair amount of smoke damage to the floors and walls of the venue.